Gold has been showing a slight intention of a correction but the Dollar has been firm and the sentiment is in favor of a stronger Dollar as long as there are uncertainties over world trade. The price fell from $1208.49 and bottomed out at $1192.77 after a series of positive US economic data. 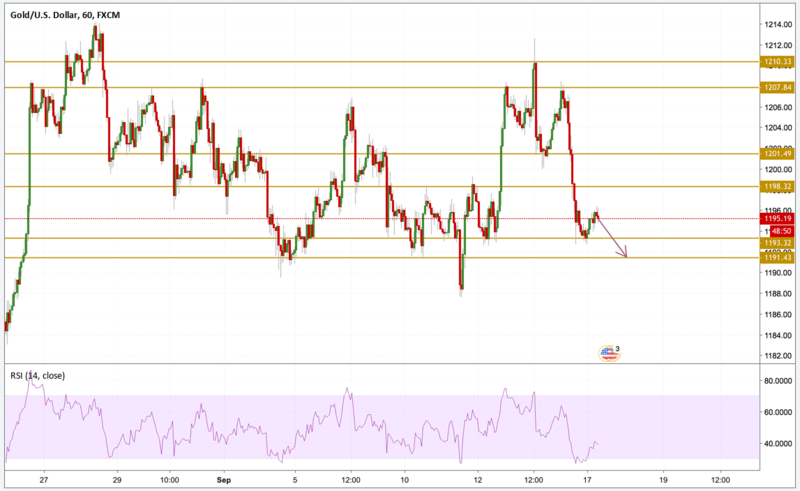 Gold prices fell below the $1200 level breaking all support levels without hesitation and they are currently settling around the $1195 area. RSI is pointing towards a bearish momentum after bouncing back from oversold conditions. Our main focus will be the $1191.5 support level.